Portable computers can compete quite well against desktops in terms of performance, even at the high end, if you like your laptop heavy, but one area where they slip behind is graphics. Not any more, if ATI's Lasso can deliver what we think it can. Fitting one, let alone two high end graphics cards into a laptop, and then powering them is, well... a bit of a bugger. What would be really cool is if the GPUs could be housed externally, interfacing with the laptop rather than residing within it. "But wait Steve, we've already seen such a solution" you shout, yes? Indeed the ASUS XG station strives to do that for lappies with ExpressCard slots. ATI's working on a little something of its own, however. They're calling it Lasso and it'll go a bit further than having an external graphics card for a laptop. Lasso will be able to house multiple graphics boards providing what could frankly prove to be hilarious processing capabilities... and those of you keeping up with the GPGPU scene will know that it's not about games performance. 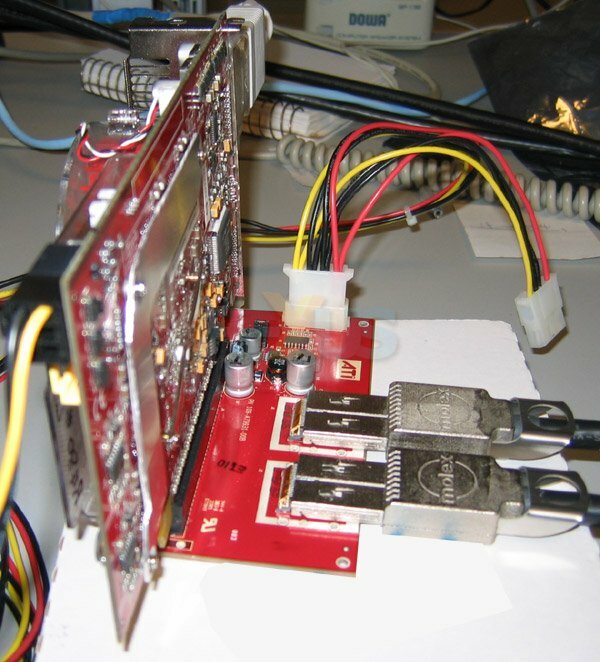 Modern GPUs can do some serious general purpose wet-work, leaving the CPU cores to work on other things. Nvidia to publish open source version of Quake II RTX AMD's 50th anniversary will precipitate special CPUs, GPUs Ex-AMD boss Hector Ruiz pens a book about the chip wars AMD wanted to buy NVIDIA, not ATI, claim former employees AMD resurrecting ATI branding? If either this or the ASUS XG station really deliver and are practical, I'll ditch my gaming rig AND work machine (both desktops) for something along the lines of a Dell 9400 with an ATI X1400. The big downside of the ASUS seems to be the need for an external monitor. If there were any way to output to the laptop screen, well that would be amazing. but it costs waaay too much at the moment. That particular one goes in the expresscard slot in laptops. Well hopefully there will soon be a time when the external GPU can meaningfully improve general performance on a laptop by supplementing the CPU.